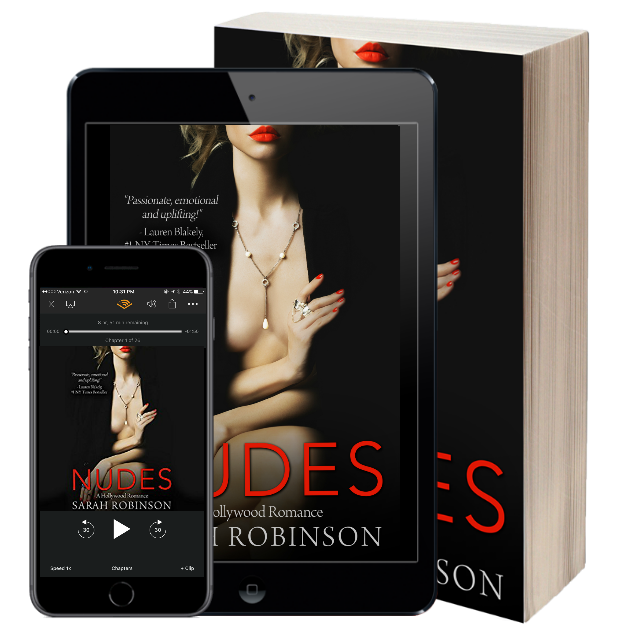 Naughty and Nice Book Blog: EXCITING ANNOUNCEMENT: Nudes Coming to Audio March 27th! EXCITING ANNOUNCEMENT: Nudes Coming to Audio March 27th! You can now preorder NUDES: A HOLLYWOOD ROMANCE as an audiobook on Audible and Amazon, coming March 27, 2018 to all! This novel is being narrated by Sasha Dunbrooke and Jean Paul Mordrake! Praised by number one New York Times best-selling author Lauren Blakely as "Passionate, emotional and uplifting! ", contemporary romance author Sarah Robinson brings listeners a new stand-alone novel set in the glamorous hills of Hollywood and tackling challenging themes like the intersection of sexuality and female empowerment. I knew better. I knew not to trust another Hollywood heartthrob with a reputation like his. He was my boss and became my ruin. I should have stayed far away from him. Ben Lawson promised me the world. He even promised me his heart. But he destroyed everything - my heart, my career, us.